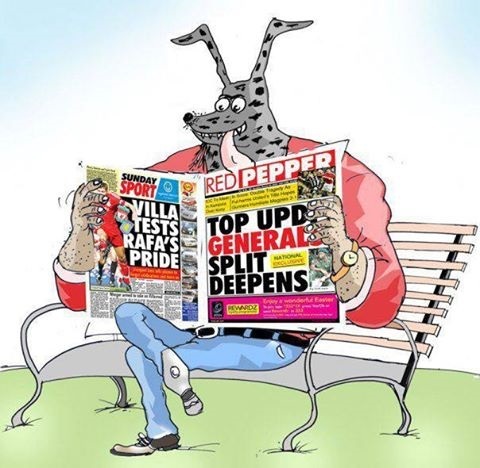 "Even a good dancer leaves the stage: Your favourite Hyena in the Red Pepper has today announced his retirement from the game and Red Pepper ceases to be a Tabloid starting from Monday 20th. Welcome to the new Red Pepper next week. Thank You The Mighty Hyena we wish you all the best." "After 12 years, @RedPepperUG will be taking on a different editorial line to make it better & bigger, thanx to that lone voice of reason!" Tweeted Rugyendo Arinaitwe, one of the Directors.